If your design is rectangular, then simply click here to open up our rectangular tattoo designer. You can read our top tips page find out more info and advice. 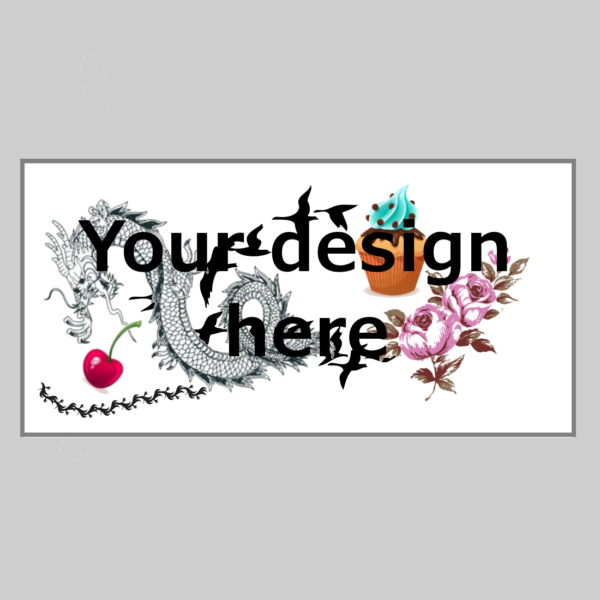 Produce your own custom temporary tattoo online in minutes using our fabulous Design a tattoo tool. 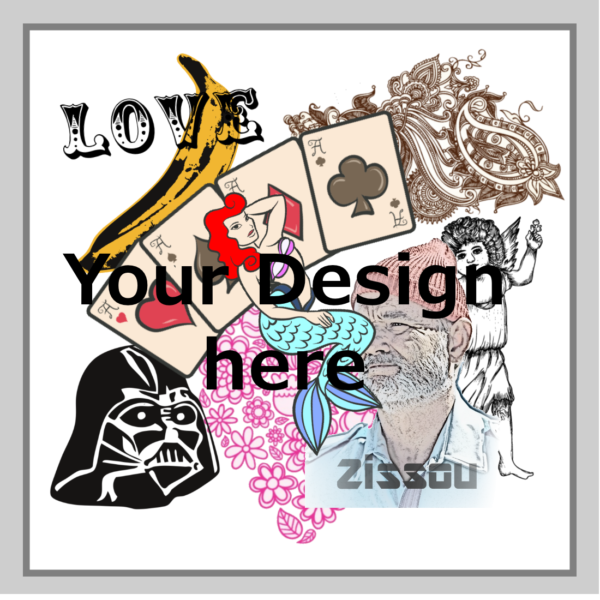 High quality square canvas temporary tattoo available in 5 sizes. Simply choose a size and start creating with our tattoo customiser. Here you can select any product from our shop, upload your own images or simply pull them in from Facebook or Instagram. Use Text and shape tools to customise further and finish off your body art masterpiece. Personalised temporary tattoo perfection. Discounts are available for quantities ordered and there is Free P&P on UK orders. If you want something altogether different get in touch via email or Facebook. You can also refer to our top tips and advice to find out more information. Great service, quick delivery, all round top work! Excellent quality and super fast delivery. Will definitely use again! 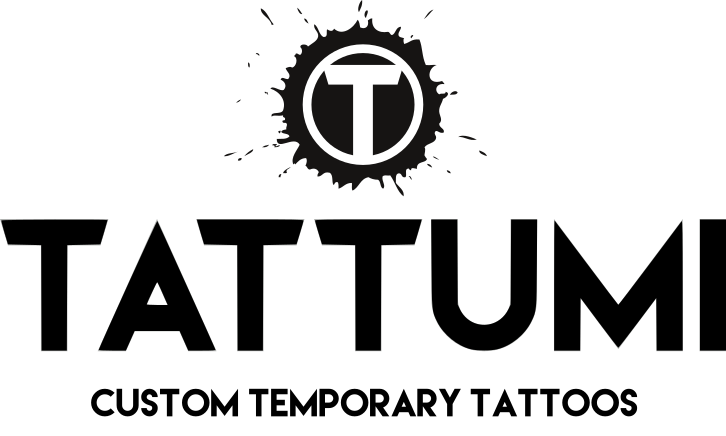 I’ve bought tattoos from Tattumi a few times and am always pleased with them. I mark any big gathering of friends and family by getting souvenir tattoos made. They always look great in photos, and it’s surprising how everyone one, no matter what their age, loves getting ‘inked’. We’re all rebels at heart. Excellent service all round & great value for money. Highly recommended if you are looking for some temporary tattoos! Tatt turned our fantastic ( just looked like a real one!) We got ice hockey players signatures done and you couldn’t tell the difference between our fake tats and our friends real one (sad I know) couldn’t recommend enough. I’m sure I will be getting more done in the future!! Delivery also super quick and great at answering qs on Instagram! Fast sevice. Product very good. Fab service and great product. Would buy again. Turn around was a little longer than expected and I would have liked a way to track the progress of my order such as whether it was dispatched, still in progress, ect. The colours and quality of the print were very bright and vibrant, but since my design had quite a bit of white/transparent areas, it stayed horribly sticky for days, with no amount of talcum powder helping. Because it was sticky, the ‘clear’ areas keep picking up fluff from shirts and such, and it looks horrible because of it. For smaller designs, or designs with less open space, it probably looks perfect. As its just to test where I’ll put the real tattoo, I don’t mind too much, but its something to keep in mind. Amazing! Arrived so quickly, were even better than expected and everyone loved them. Highly recommend. Looks great and works perfectly as testers before getting a real tattoo. Delivery took a few weeks but I wasn’t in a rush for it. Would want to know how price would reduce for more orders? But happy with the initial order. Ordered copies of my Prince tattoo for my 5 year old son!! Excellent tattoos! Easy website, fabulous service, quick delivery to Italy!! Highly recommended.